Mastering is all about referencing, certainty and workflow. Although specialized mastering softwares are lovely and have many features we all would love to be able to use, one can use a regular DAW to master records without compromising sound quality. In this video Fab Dupont shares his mastering setup in Protools (easily adaptable to any DAW you like) so you can get the most out of your existing software. This smart three track setup will allow you to make true comparison for level and tone matching between tracks, organize your music so the record reveals itself to you without relying on long term aural memory skills. Beyond mastering, this system is great to work on your ears and compare the sound of plugins and processes, both software and hardware. No! No drachmas, they don't have them anymore, but money! Some money, whatever your money is. How? Good question! Most people think they have to buy a really expensive piece of software to be able to do mastering, because it must be special. The expensive mastering software is lovely, it has lots of beautiful features, and cool stuff that other pieces of software don't do. all the expensive stuff, you can do it in Pro Tools. I propose to show you how. What you need is a Play track, a Process track, and a Record track. I like Stereo, make it Stereo. This is what my source track is gonna be on. So let's write SOURCE on this, just to know. Then that I'm gonna feed into a Process track. I'm gonna make a new track, Stereo, an Aux, and then I call it PROCESS. That Process I'm gonna feed into another track that I'm gonna record on. I'm gonna call that, say, PRINT. But it has to be a track. PRINT. Alright! Now I have a Source track, a Process Auxiliary, and a Print track. And they all feed into each other. Lastly, I have to make sure that my Print track is assigned to whatever my Monitor path is. If you look here, I end up with three tracks. Now, here's how it works. What you do is get some music, in this case, one of the Grand Baton mixes, drag it into Pro Tools. I like to park all my files at the top of the session. What happens now is this track has the mix on it. This track will have my plug-ins. This track will record the result. Why function this way? First, that allows you to monitor the source track independently. You can send it to another output, and have another path on your monitoring section, and you can hear Pre and Post. That's nice. Also, as you know, in Pro Tools, plug-ins are Post-record, Pre-fader. Which means that if you want to record the sound of a plug-in, it has to be on a different track than the track you're recording onto, preferably a track before that feeds it, and if you wanna do Automation, say a long fade, or something like that, it has to be on an Auxiliary track, so you can record the effect of that fade into the track that it's assigned onto. Right? So now, if I press Play, I'm gonna hear some loud Grand Baton. Now, feel free to insert plug-ins here. For example, in this case, the Massey 2007. I'm gonna use that as my final Limiter. If I press Play now, I can play with the Limiter, and hear its effect. The audio is coming from the source, through the Process Bus, into the Process Aux, through the plug-ins, out to the Print Bus, into the Print track, out to my monitors. And now if I press Play, I can play with the plug-in and hear it in real time. I'm not gonna discuss mastering techniques right now, I'm gonna show you a workflow setup, because the setup is 75% of the deal. The other 25% is your ears. Once you have the setup proper, you can focus on listening, as opposed to all the Tinkertoy stuff you have to do to match levels and figure out what's going on. The great advantage of this system is, say you have a second song now, you do the same thing! You create a new track. Send it to a new Aux. Which you send to a new Print. Let's call this one Source 2, so it's clear for everybody what's going on. Great! You can also help yourself with colors. Let's make this one green. And make this one blue. Now I'm gonna make a group of the first one, and call it SONG 1. And then I'm gonna make a group of this one, called SONG 2. In real life, I would put the actual name of the actual song. Let's bring a song onto SONG 2's track. How about "Hands Up"? Great song. Put it on the Source track of SONG 2. There you go. If I select one track of the Song 1 Group, I get all of Song 1. Obviously, track 2 is a lot softer than track 1. What we could do is copy that Limiter here over, and give it some level. It's getting closer! This is a very easy way to work, because this is a great way to have instant comparison for level, for tone, for compression, without having to memorize too much. This system allows you to use short term aural memory to do your mastering. You can also use it to have one song, two different processings, to compare two levels of processing, say if you're learning plug-ins, or you're learning your way through the system, same thing, you shorten your aural memory need, that way you can really compare instantly. Say I have Song A right here, I could make the second system Song A'. For example, I could get rid of "Hands Up", copy "Caribbean" down here, and say: Ok, now we know what the L2007 sounds like, how about we learn what the Sonnox Limiter sounds like, compared to the L2007? Boom! We gave this about 7dBs, so let's give it 7dBs. Now we can compare! Completely different! This is a great system to compare plug-ins, strings of plug-ins, methods, it's a great way to work on your ears and your listening skills. Now I'm gonna do a Julia Child trick, I'm gonna open a ready-made session. I'm gonna close this one and open the Grand Baton Master session, which is the actual session from the actual record. You can see here in the Arrange window, everything in black are the mixes, everything in red are my printed masters. And then I can needle drop, old-school term, in between the different songs, to make sure that my master is even. Was I doing a good job the other day? Not bad! In this particular case, I actually used hardware. Remember the source track? That source track, instead of going to a bus that goes to the Process track, goes to a physical output of my interface. Then it's going through my patchbay. That physical output is connected to my Dangerous Liaison, which is connected to a whole bunch of outbard, and the output of that Liaison is connected back into the input of this track, the Process track. So, when you want to use hardware, if you have a piece of harware you like, and you still want to use this workflow, all you have to do is send the source track out to that piece of hardware, and the output of the hardware back into the Process track input. And you're good to go! Another way to do this is to use an I/O Insert, right here, and make sure that your piece of hardware input and output are connected to the input and output of the same number onto the interface. For example, say my Liaison was connected to B 1-2, if I select B 1-2 here, I'm gonna be able to have this B hardware insert. For me, it's more visual to have the Source track go out with cables, I just like it, because I can see it. But this works too. you hit Record, you're good to go. Make sure you fix heads and tails, as you're supposed to do on every mastering job. And then you export the track. and select your parameters here. If you don't want to have to remember a key command, this is what the workflow is. Click here to make the Region List appear. Select your file. It selects it in this Region List. And then, select Export Clips as Files. These parameters are fairly straightforward. I use WAV files, Interleaved, which means it's a Stereo compacted file. I use 16/44, I truncate. Some of you may want to dither. We all have different philosophies, but that's the point of a different video. And then, choose where you want to park them. I usually use a folder called Bounces, inside the folder of the session I'm working on. Press Ok. Boom! And your master is being exported... Ready to go! Then, if you need to make a CD out of it, for some reason, you can use these bounces and import them into Toast, or Jam, if you still have Jam, or Wav Burner if you're a Logic user. Whatever 2-track editor you have on your system will do, for you to be able to sequence and press a CD. If you're not gonna make a CD out of the master, you can make an mp3 out of Pro Tools. The Pro Tools built-in mp3 Engine is very good. It's the same as exporting a WAV. You select your file, Shift+Cmd+K... Select MP3 up here, Interleaved/44, choose where you want it to go. You have to click Export to get the parameters. I usually use Slowest, Highest Quality. And then, whatever your target Bit Rate is, depending on your delivery medium. For SoundCloud, 256kbit/s is fine. Put your tags in here. If you do not fill these tags, Pro Tools will put the name of the file right here in Title. You might want to enter a new name. Click Ok. It exports, and then you have an mp3! If you're lazy, and you want to export everything, just select a bunch of the tracks, Shift+Click on them. You see them being selected right here, on the Clip List. MP3s, WAVs, Export... Good to go. In summary, while it's always nice to have all the bells and whistles of the expensive software, it's nice to know that you can do this kind of stuff straight in Pro Tools, with little compromise. It's a nice workflow to master your record, compare the sound of plug-ins, compare chains of plug-ins, do some sound referencing with say, records that you like, and of course, train your ears. While I absolutely love Fab's instructional videos (all 5 stars), this is not one of my favs. This workflow is impressive, but Studio One's Project feature (which follows the Song or mixing session smoothly) is most efficient. I'm surprised that Studio One is not mentioned as an option. No need for 3rd party album production software - and you can jump back to the mixing session to make tweaks seamlessly and then go back to your Project (i.e. mastering session). 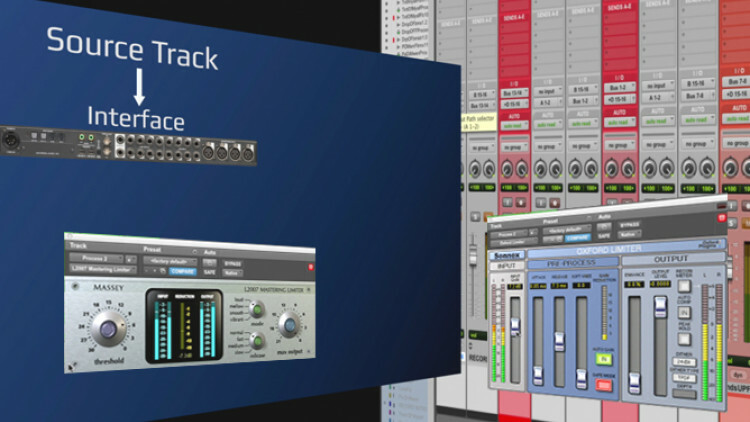 Inside the Studio One Project session, you can also add plugins across an entire album or across individual tracks to taste. Mastering process in Logic Pro X please.!! This is great, but I would love to see how it's done in Logic. I have tried the method in Logic, but the routing seems to be a bit different in the way that it works. Great stuff though. hi fab. I heard, Making Master fader is always best way to get the hi quality sound even thought don't use master fader. Someone said master fader is kind of plug in , and it make possible to process high bit resolution. is it true? @kebberj: There is no audio disadvantages that I can hear at this point. You should print a mix both ways and compare for yourself. Ergonomically I still think that printing in real is better because it allow you to print in segments, do inserts and hear your work one last time before you're done with the pressure of it being the last time. Hi Fab. Is there any disadvantage to using the "bounce to disk" feature in pro tools? It seems a better choice especially now that you can bounce offline in PT11 and 12. Hi Fab, "Some of you may want to dither"... doesn't Pro Tools add dither itself when exporting to, say, 24 bit to 16 bit? I can't find a clear explanation anywhere. Some say it adds dither, some don't. Would be nice to have a video addressing that issue. Keep up the fantastic work!!! Same as Robdig, no sound on the print track even with the right outputs selected (I'm learning the Pro Tools 12 that I won with The Arrow Remix Contest) Also, I see that I do not have the green buttons next to the rec buttons on my audio tracks ! I'm coming from Logic Pro Great video thought ! Thank you for this! I'm beginning to feel the limitations of mixing in Logic .... I learn so much every video and even more the second time. Hello Fab! In the end of the video, when you select all your masters to export, in that way pro tools won't sum everything in a stereo mix? @ShineOnStudio: Int he group function of PRotools you can make the software do many things. The solos can ganged foer the whole group and also plugin parameters, automation settings. It's very powerful One of the reaons why it's hard to mix in other software when you have worked with that kind of power. 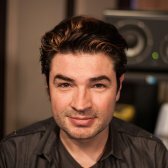 @jmastawoods: Sometimes 2 limiters at different speeds with less gain reduction is better than one with a lot fo gian reduction. Try it. Fab, You are a master. I'm new to PureMix and I've been working in PT for years, but I always want to know more. Can you tell me how you got the solos to follow your groups so they engaged / disengaged when you clicked on the solo buttons? Thanks. GREAT F'ing Video! Like Always, Bless. Hey Fab, I see you are using the Flux Elixir in series with the L2007. Mind commenting on this? Thanks again for the great, informative content! Fab you have lead me to water many times Now i,m starting to drink Grandwizz.